I finished the RoboAngus EAS (Etch-a-Sketch) side project this weekend. I got the idea from Jeff Epler and Chris Radek’s website and figured that it would be easy to adapt the controller and software from my Wood Turtle project to make my own version of the EAS CNC…it was…it only took me two hours for the complete build. It runs using TurboCNC software and two stepper motors. the removable rubber cups that attach the motors to the knobs on the EAS using only friction. Use of these rubber cups for the attachment allows you to remove the Etch-A-Sketch easily without tools…just pull. 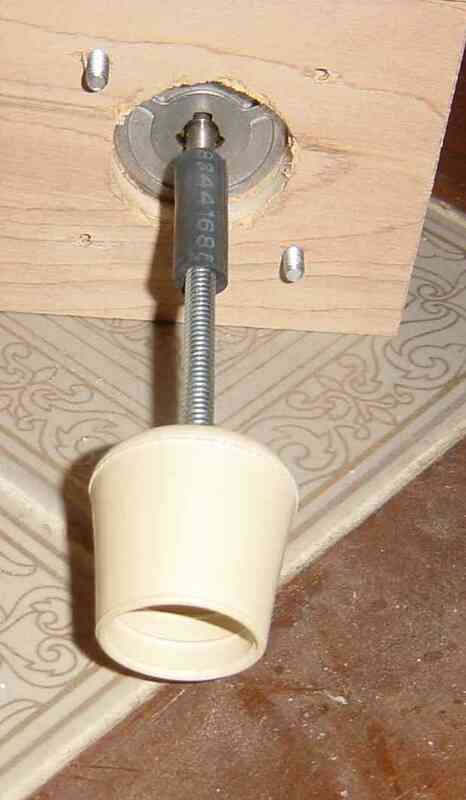 I just drilled a 1/4″ hole in the middle of a standard rubber chair leg end bought from Home Depot. I then pushed a 1/4″ by 2.5″ bolt through the hole and used a nut to tighten it on. Then I used a 1″ length of automotive vacuum line to attach them both to the stepper-motor axis. Works great and pulls off in a second. 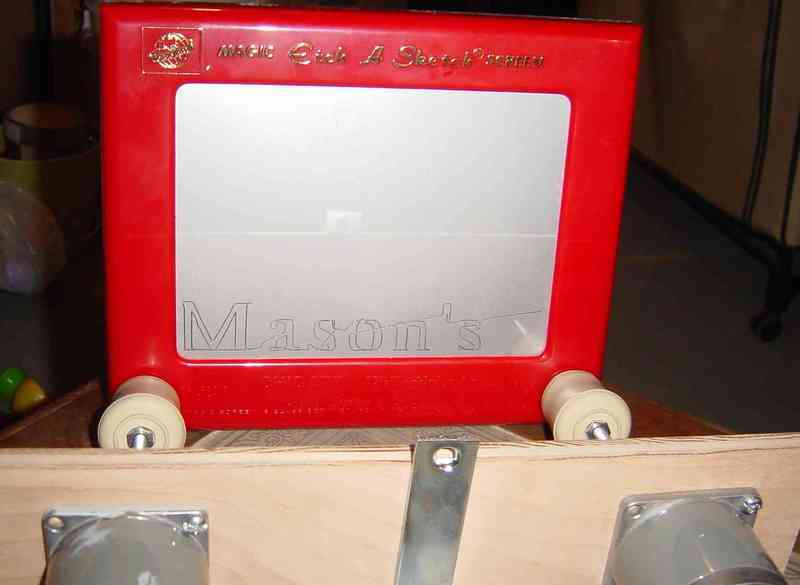 The above photo shows my son’s name “Mason” drawn by the RoboAngus EAS. You can see the device is really only stepper motors mounted in plywood and attached with the bolts and rubber cups. 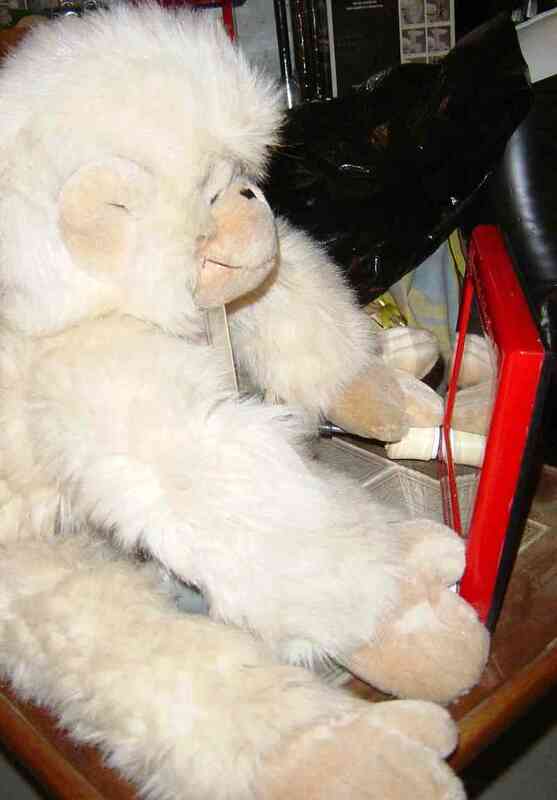 The photo below shows the rubber chair end mounting device described above. Posted on January 8, 2006, in CNC. Bookmark the permalink. Comments Off on RoboAngus EAS (Etch-a-Sketch).